This involves using production-parity local/remote 'devboxes' independent of the host OS, and growing this setup into a production environment. 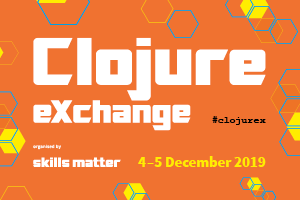 Pros and cons of the approach will be discussed, along a experience report from 'the wild' of using Clojure in this manner. Martin has been doing Clojure full time for 4 years in various projects ranging from finance, property websites and IOT startups. Currently he is head of engineering at Opensensors.io building solutions with a Clojure backend and frontend stack. He is very interested in programming languages and is always trying to learn new (and old!) ones.